You will always grow and change. The direction change takes is up to you! I’d like you to imagine the person you were ten years ago. Let’s say “five years ago” if you’re in your twenties. How different were you back then? How did you look, behave and feel? How have you changed in all that time? I expect you’ve changed a fair bit, haven’t you!? You behaved differently, thought differently and felt differently. Of course you did. We’re never truly the same person from one day to the next. We know that we never wet the bed anymore, we don’t cry when we can’t have the sweets we want. We don’t punch our little siblings when they annoy us and very few of us continue to smear faeces around without a care. Nobody thinks they should still be behaving just as they did when they were young. They frequently do, however, imagine that we have to be just the same tomorrow as we are today. Every week I use hypnotherapy in Reading, London, Oxford, Wallingford and Thame to help people to change. That change may be slow, it may be dramatically fast. It is, however, constant. Just as a mountain rises over tens of millions of years, so change can be slow. It is, however, a constant process. None of us has tens of millions of years. However, our personalities are never fixed. We change all the time. Life is a journey and we develop and grow as we travel through it. My point is this: since you have changed over the past five or ten years you are also going to change during the five or ten years to come. You will NEVER stop changing. So, picture yourself in five or ten years time. How would you like to behave, think and feel? How would you like your life to be? The gap between the person you are right now and the person you’d like to be may seem quite dauntingly large. The changes you have undergone over the past five or ten years didn’t happen overnight. They happened because of a thousand tiny little steps you took. Some of those steps were a result of choices and some were, perhaps, a result of circumstances beyond your control. We’ll always have those with us. That’s life. But, you can choose to take a step, today, towards becoming the person you’d like to become, towards the changes you’d like to see happen. You can continue to take those steps, simply placing one small step in front of another. You can keep doing that day after day for weeks, months, years until you have progressed towards your goal. 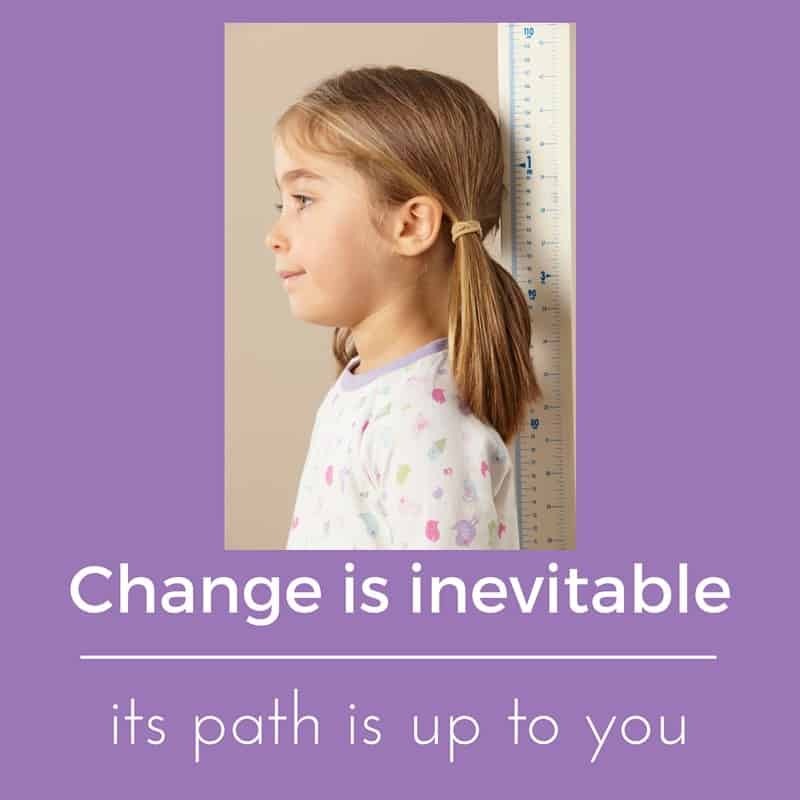 Hypnotherapy can help you take control of how you will change. As the video says, change is inevitable. You can be passive and be carried along by it, as if you are a cork floating on the ocean, carried along by its tides, or you can be active and take charge of that process. Change can be scary and yet who says life has to be about comfort? In fact, the more comfortable you are the more likely it is that you’re stagnating. Watch the video below for a little more insight into that idea. Discomfort is a sign that you are facing the opportunity to make a positive change to your life. You can embrace it, face it and thrive or retreat into comfort and stagnate. If you’re reading this then I believe that you’ve reached that point at which you’ve had enough of being carried along on the tide of some other person’s agenda. You’re sick of seeing yourself as a victim of circumstance and fed up of being held prisoner by the past. Choose to let it go and to embrace discomfort, one step at a time. This evening I was working with a man who wishes to lose a bit of weight. It’s not the main reason we’re working together and yet it’s an important goal. I was helping him to see hunger as a positive. Every second of hunger is a second in which fat cells are shrinking, carrying him closer to his goal. Step by step he is changing. Second by second he is losing weight. Discomfort, in this instance, is his friend. Watch this video for a little more insight into this. 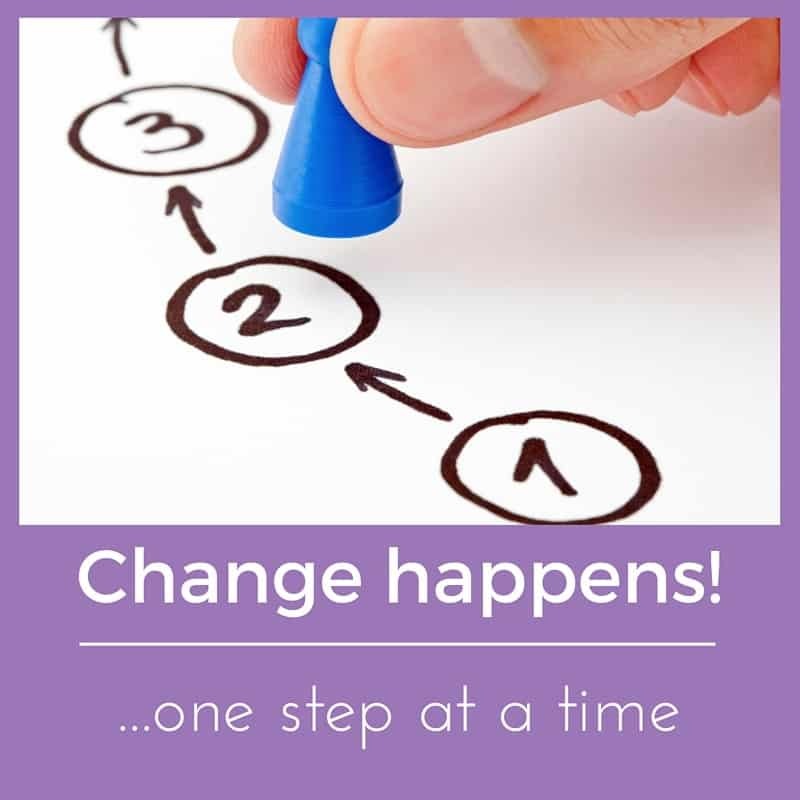 Hypnotherapy can help you change what you’d like to change and to accept the person you are. You are closer to the person you’d like to become than you realise. It might be uncomfortable on occasion and yet that discomfort will become comfortable with time. You’ll learn to push yourself towards change and towards the completion of your goals. Hypnotherapy could help you and I’ll be more than glad to show you how. The last seven years have seen those people call me and begin hypnotherapy. Those people shed the negative self beliefs which had always held them back and harnessed their strengths in order to achieve their goals. Hypnotherapy, when combined with counselling and psychotherapy is awesome at helping that happen. This year could be your turn. Now is the time for you to act. All you need to do, in order to take your first step, is to take a deep breath, get in touch and begin work. Once you take that step you may well find that it all rolls out more smoothly than you could have imagined possible. You’ll never know if you don’t act to find out.